A magnific blue water cruiser, fast, easy to handle and with high quality internal joinerwork. She won the Boat of the Year Award in 2008. 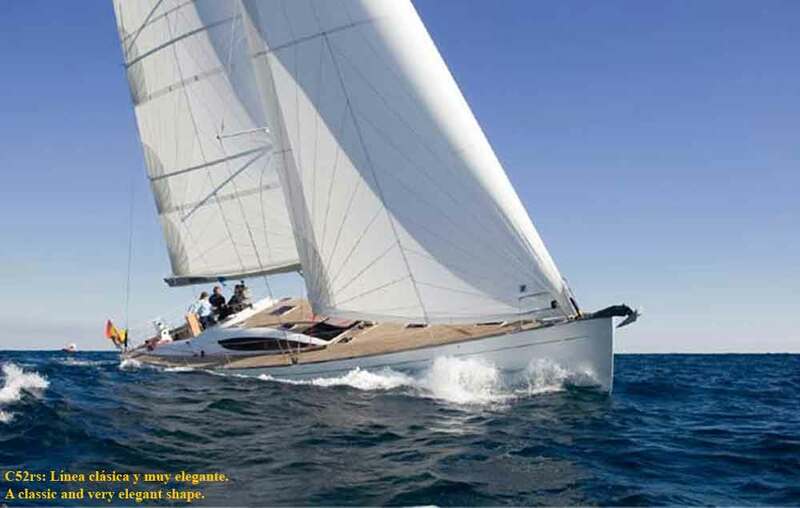 Main-sail:Speed Sails, Pentex, 2007, full batten. Miscellaneous:Hydraulic aft platform, bimini and spray-hood. The Comet 52RS opened the Comar’s Deck House range with modern fast cruising design. They are very interesting boats, with a modern style not linked to temporary fashion. This unit won the 2007 Boat of the Year Award, thanks to her excellent performances, her internal high level craftmanship and also to the customized internal style, built to the customer’s tastes with amazing versatility by the Yard. Due to health problems and to his business needs, the owner was not able to sail her as he thought, thus he put her for sale. She is in a better than new condition, having passed all the quipment starting small issues, she has many extras and the engine has been very low used.